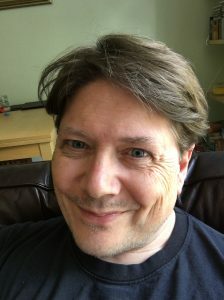 Marc Gascoigne, founder and publisher of Angry Robot Books, has announced that he will be leaving the imprint at the end of the year. 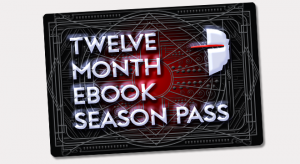 “After more than ten years building AR up into a popular, worldwide sci-fi imprint, it’s time for a new challenge. I’m looking forward to getting my teeth into a new project soon,” he said. 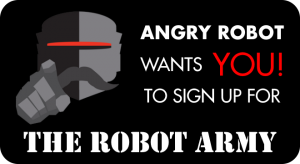 Angry Robot was created by Gascoigne for HarperCollins in 2008, and since 2014 has been an imprint of Watkins Media Ltd, also home to Watkins Books, Repeater and Nourish. He won a World Fantasy Award (2011) and a British Fantasy Award (2016) for Angry Robot. Following Marc’s departure as Publisher at the end of the year, his many and varied duties will be divided across the Robot superstructure. Most importantly right now, this had led to the following advert for a Commissioning Editor – check it out.